Arconic calls the Huck Range Force Battery Tool “a portable powerhouse for multiple applications and industries.” This new installation tool offers versatility, expanded mobility, simplicity, and outstanding performance across a range of industries—including solar, transportation, and construction—and uses (as well as hobby applications) when a power source isn’t readily available but force needs may vary from fastener to fastener. 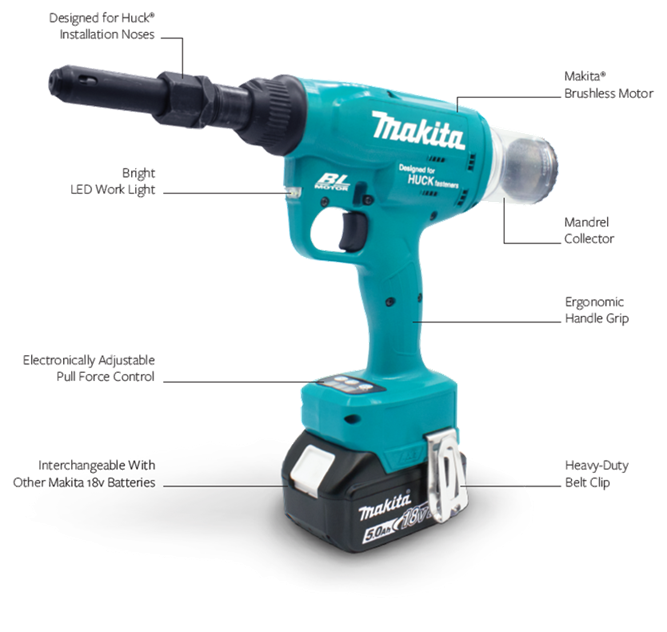 With its high pull force and long stroke, the Huck Range Force Battery Tool sets both structural and non-structural rivets, as well as all Huck two-piece lockbolts up to ¼ inches (excluding the Huck BOM ¼-inch structural blind fastener). The Huck Range Force Battery Tool will be available in October, and Bay Supply is taking pre-orders now so you can be among the first to own and use this innovation in adjustable force installation technology. We are also offering a low introductory offer for this tool. 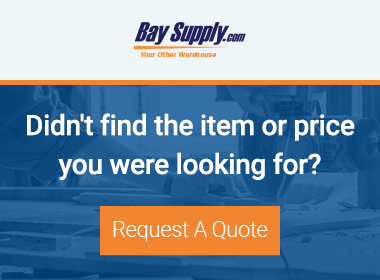 Contact us and request a quote to see how much you can save.